On the 6th of November, The United Nations Economic and Social Commission for Asia and the Pacific (ESCAP) held a Preparatory Meeting for the Global Compact for Safe, Orderly and Regular Migration (GCM). The Preparatory Meeting was one of a series of regional consultations organized as part of the consultation phase to inform the development of the GCM. The Preparatory Meeting aimed to provide a forum to identify key migration issues, challenges and priorities for the Asia-Pacific region, and to generate a set of conclusions that could serve as regional input into the global stocktaking meeting due to be held in Mexico in December 2017. 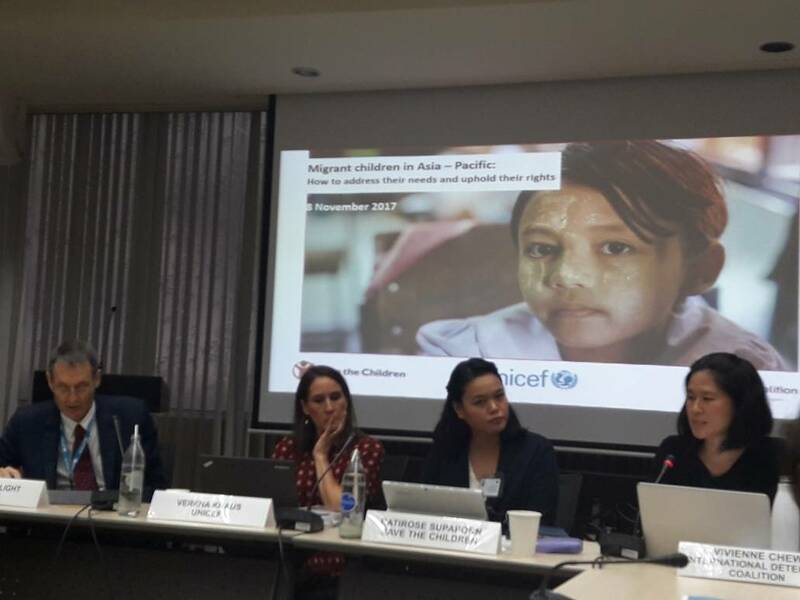 The IDC, in partnership with UNICEF and Save the Children, organized a side-event at the Preparatory Meeting titled “Migrant Children in Asia Pacific: how to address their needs and uphold their rights”. The event focused on how the GCM can ensure that the rights of migrant children are upheld. The event aimed to tackle the challenges faced by migrant children in Asia‐Pacific, particularly focusing on care and protection, access to services and child immigration detention, as well as showcase good practice examples from the Asia Pacific region. According to a UN statistic (2015), nearly 12 million of the world’s international child migrants live in Asia. It is therefore vital that Asian nations, civil society, and other stakeholders facilitate dialogue towards securing the rights for these children. The IDC’s Asia-Pacific Regional Coordinator Vivienne Chew drew attention to the issue of child immigration detention as highly detrimental to the rights and well-being of child migrants. In South-East Asia alone, research shows that children, including babies, are being held in detention cells 24 hours a day, alongside dozens of unrelated adults, and are frequently separated from family members. Such detention leads to a wide range of negative physical, and psychological impacts including PTSD, major depression, self-harming, suicidal ideations, nightmares and night terrors. States detain children for reasons that are quite avoidable, such as to conduct routine health and identity screening, to maintain family unity, or to facilitate engagement with ongoing migration procedures. Sometimes children are detained because of a failure to properly conduct age assessments, or due to a lack of robust child screening and identification processes. 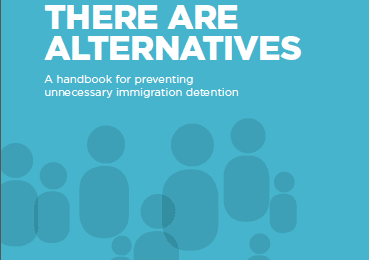 Governments are increasingly searching for ways to end this harmful practice and to develop child-sensitive, community-based alternatives to detention. This growing momentum is clearly reflected in Article 33 of the New York Declaration. 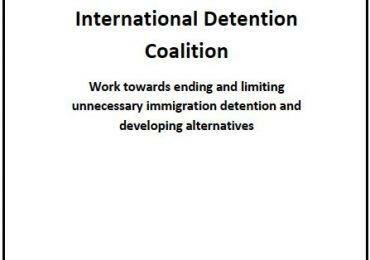 The GCM provides states with a fundamental opportunity to build upon the commitments in the NYD to work towards ending the immigration detention of children and to pursue alternatives to immigration detention. It is important however, that the GCM provides a set of concrete targets and indicators for operationalizing these commitments, such as those suggested in the Children’s Rights in the Global Compacts: Recommendations for protecting, promoting and implementing the human rights of children on the move in the proposed Global Compacts.